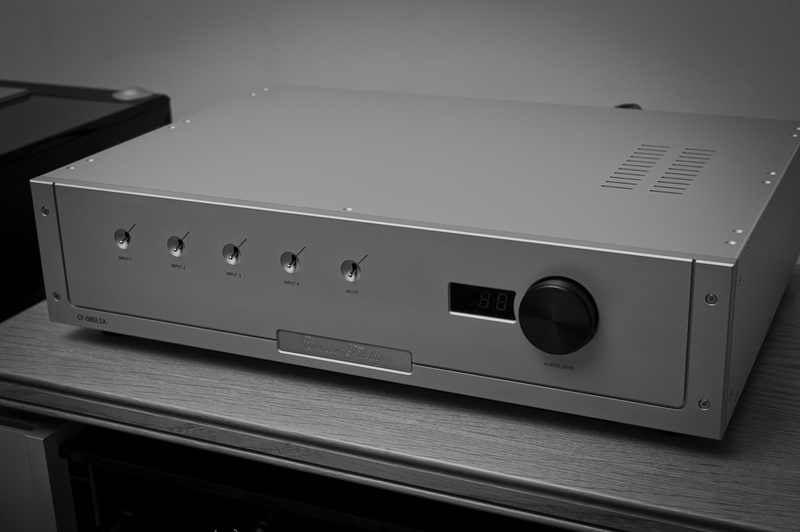 “Once experienced, it is hard to return to and enjoy an ordinary preamp. Concert Fidelity will re-calibrate your sonic expectations. The CF-080LSX2 is now my go-to preamp, my reference, when it comes to tonal color accuracy. It is a full-fledged member of a world-class elite of cost-no- object designs. Powered by musical passion, it delivers the sonic goodies. Assuming that you can live with its limited flexibility, the Concert Fidelity will keep you smiling and engaged for a lifetime of musical enjoyment”. Advanced input circuitry and volume control circuitry are implemented with our proprietary Direct Signal Path Technology (DSPT). This combines with our low-distortion amplification section using the 12AU7 in cascode configuration to produce extremely fast transient response and clarity.This preamp is the closest thing to using no preamp at all, yet it provides sufficient gain to give music the drive and authority which no passive device can equal. Extraordinary resolution and immediacy from the shortest circuit path possible, implemented with our unique Direct Signal Path Technology. Unparalleled transparency and excellent channel separation from our proprietary minimalist dual electronic volume control. Lightning-fast transient response and crystalline clarity from our perfectionist low-distortion amplification section using the 12AU7 in cascode configuration. Perfectionist simplified and optimized circuitry allows the sound of the tubes themselves to emerge with unparalleled transparency―the meaning of the proverbial “straight wire with gain.”　Quite simply, the closest thing to no preamp at all, but with drive and authority which no passive can approach. The CF 080LSX2 is always available for demonstration. Personally, I feel as if my listening room has been graced by one of the best preamplifiers these ears have heard. It’s a true reference product and I tip my hat to Tsuda san and the team at Concert Fidelity. I have chosen The CF-080LSX2 preamplifeir as my 2011 “Most Wanted Component” of the year! Highly recommended!